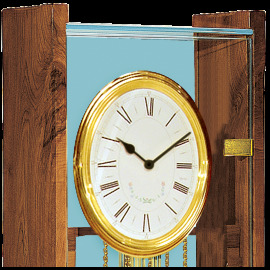 Boulle execution including palissander veneer and hand-chiseled brass. 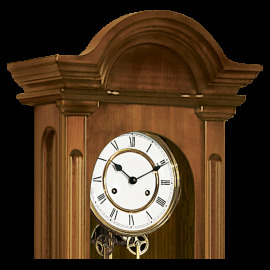 The red and black veneer is a thin sheet of coloured wood. 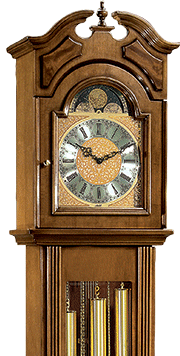 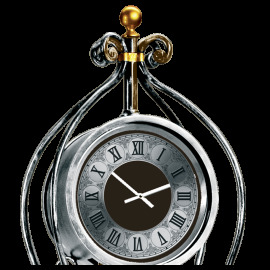 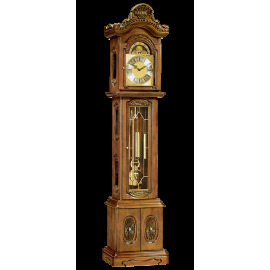 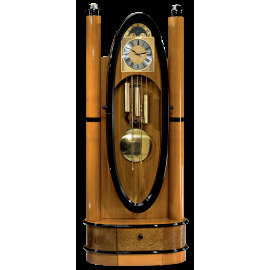 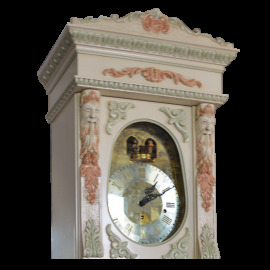 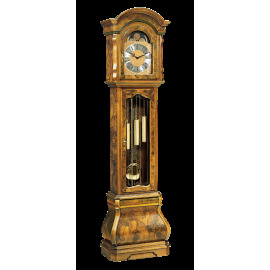 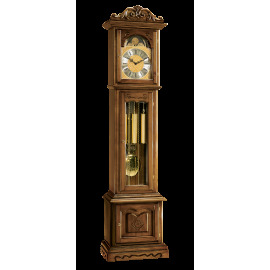 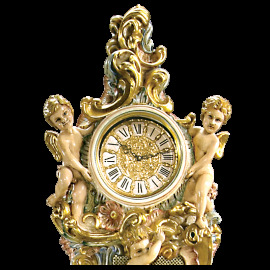 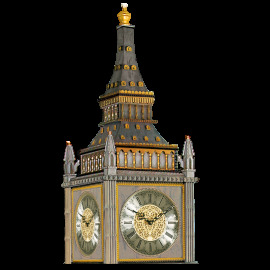 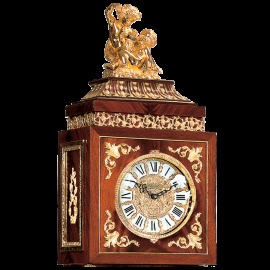 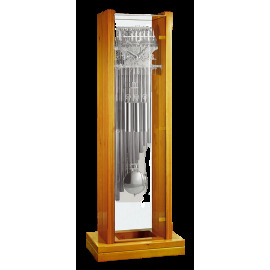 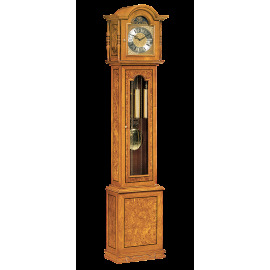 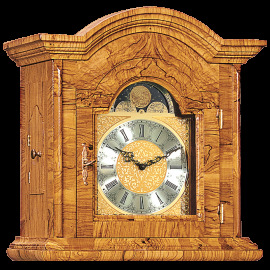 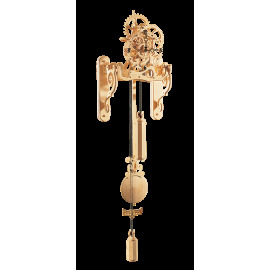 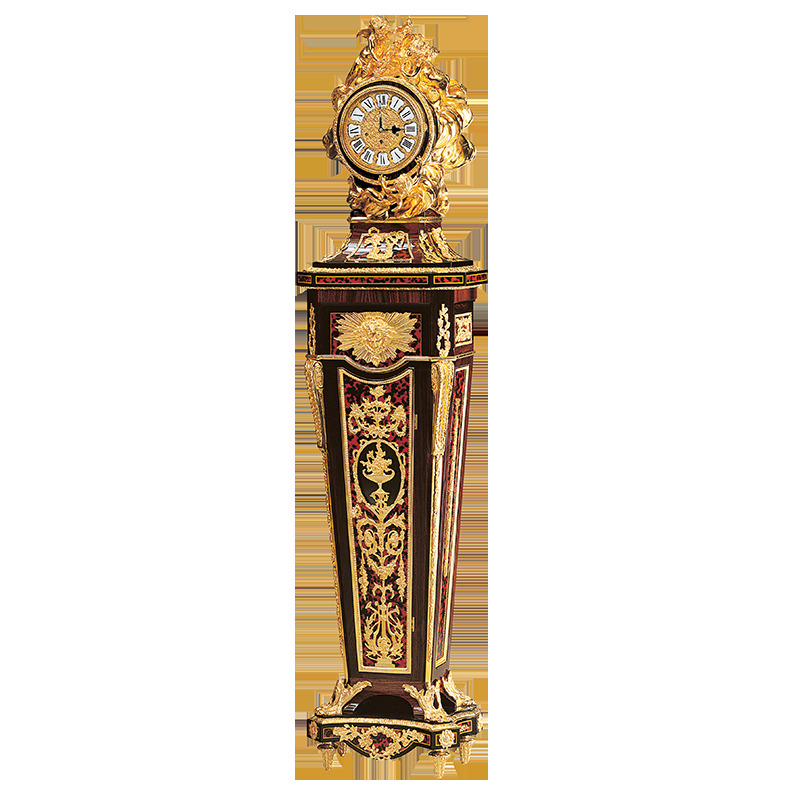 The 3 chimes movement includes 11 genuine rubies: this longcase grandfather clock is a jewel indeed. 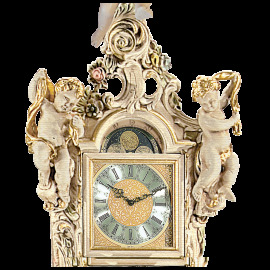 Incredible pricing: 17,000 € instead of 21,000 €. 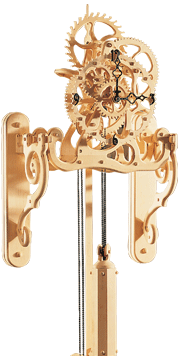 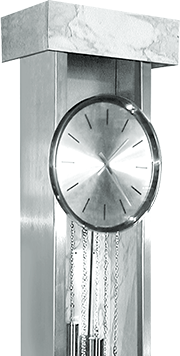 Real contemporary pendulum clock. 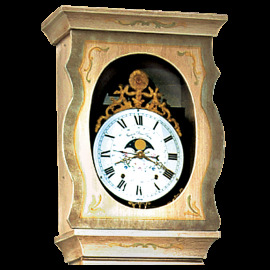 The founder Mr. Antonio decided to enlarge the clock style selection by including new materials. 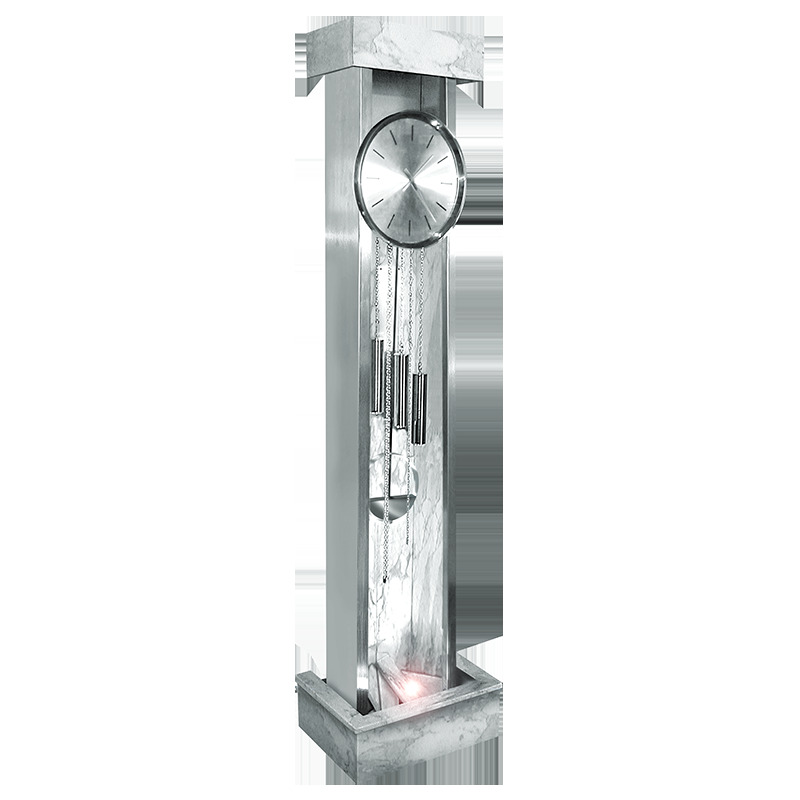 The son David decided for a mix to put in new homes and beauty farms due to the back waterfall over the white stone. 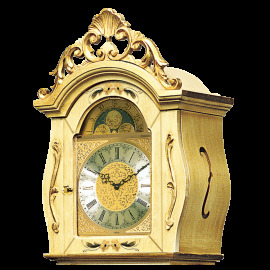 Now, we can offer a perfect mix of modern and tradition to enrich any atmosphere. 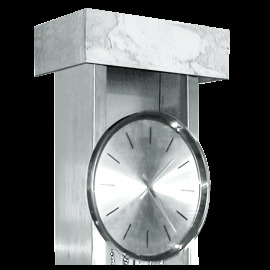 Only 15.000 €: contact us for this exclusive piece!